I read this article and found it very interesting, thought it might be something for you. The article is called 13 Women in Health IT You Should Know and is located at https://hitconsultant.net/2012/03/20/13-women-in-health-it-you-should-know/. Last month, Katie Matlack from Software Advice wrote about 5 women you should know in HIT. To further highlight the women in health care who are playing key roles in changing the HIT Industry, I wanted to add an additional 8 women for a total of 13 women who should also be highlighted in this list of women you should know in HIT. Edit, after several responses I had to include Charlene Underwood who is truly the face of HIMSS for all of her efforts in the HIT community. Special thanks to those who commented. What She Does: Kathleen Sebelius is a prominent figure in national healthcare reform in her role as secretary of Department of Health and Human Services (HHS). Not only does she oversee a vast government department that had a total budget of $854 billion in 2010, but she is also tasked with rolling out reams of regulations to support and expand on many provisions in the Patient Protection and Affordable Care Act. She was a two-term governor of Kansas and the state’s insurance commissioner. In 2011, Forbes named Secretary Sebelius the 13th most powerful woman in the world. Why you should know her: Bottom line, if you are not familiar with Kathleen Sebelius, then you are not in the HT industry. What she does: Underwood is the board chair of HIMSS and the senior director of Government and Industry Affairs for Siemens Medical Solutions. Underwood was the driving force behind the development of the HIMSS EHRA Interoperability Roadmap that has become part of the Certification Commission for Healthcare Information Technology’s EHR certification plan. 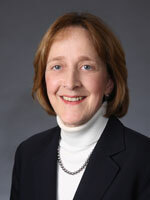 She also serves on the HIT Meaningful Use and HL7 Advisory Groups. Why you should know her: A nationally recognized expert in the field of healthcare informatics, Ms. Underwood directs Siemens outreach and advocacy activities in emerging market initiative, specifically those related to government activities in healthcare information technology (HIT) including: the U.S. Government’s legislative and regulatory activities related to HIT; national, state, and regional healthcare information networks; Electronic Health Record (EHR) strategies; standards and interoperability; quality , patient safety, and pay for performance; and EHR product certification. What she does: In 1979 Faulkner launched the company that eventually became Epic Systems. Epic not only introduced the industry’s first Windows-based EHR, they’re also responsible for developing one of the first web-based health IT systems and one of the first personal health records, MyHealth. Epic is used by Kaiser Permanente, the largest non-governmental health care provider in the country. All this was accomplished with Faulkner firmly in the driver’s seat: she’s still involved in any major company decision. Why you should know about her: With a seat on President Obama’sHealth Information Technology Policy Committee, Faulkner appears poised to expand her influence. For example, her company is in the running for a contract for a massive expansion of the Veterans Administration’s electronic health record system. She does generate some controversy, however, because of her lack of support for multi-vendor interoperability. What she does: Freedman focuses on privacy and security law, responses to data breaches and compliance with federal and state breach notification laws. She is a member of the firms E-Discovery & Information Law Group and chairs the firms HIPAA Compliance Group. She has extensive experience in health information technology (HIT) and chairs the Firm’s Health Information Technology (HIT) team. Why you should know her: Freedman has particular experience in the development and implementation of Regional Health Information Organizations (RHIOs) and privacy and security issues related to the interoperability of electronic health records. What she does: Pamela McNutt has spent nearly 20 years as the chief information officer of Methodist Health System in Dallas. In 2001, McNutt spearheaded a five-year technology replacement plan that standardized clinical and billing information practices across the system. Why you should know her: She chairs the policy steering committee of the College of Healthcare Information Management Executives, which crafts the group’s comments on proposed regulations. McNutt has been especially active in educating colleagues about rules for meaningful use of health information technology. Pamela is a sought after expert in the HIT industry. What she does: Corrigan is president and CEO of the National Quality Forum (NQF), a private, not-for-profit standard-setting organization established in 1999 .From 1998 to 2005, Dr. Corrigan was senior board director at the Institute of Medicine (IOM). She provided leadership for IOM’s Quality Chasm Series, which produced 10 reports during her tenure. Why you should know her: Dr. Corrigan serves on various boards and committees, including: Quality Alliance Steering Committee (2006–present), Hospital Quality Alliance (2006–present), the National eHealth Collaborative (NeHC) Board of Directors (2008–present), the eHealth Initiative Board of Directors (2010–present), the Robert Wood Johnson Foundation’s Aligning Forces for Healthcare Quality (AF4Q) National Advisory Committee (2007–present), the Health Information Technology (HIT) Standards Committee of the U.S. Department of Health and Human Services (2009–present), the Informed Patient Institute (2009 – present), and the Center for Healthcare Effectiveness Advisory Board (2011 – present). What She Does: Proctor is the President and Chief Executive Officer of St. Joseph Health System. She assumed this position in December of 2004. Chief Administrative Officer of Ascension Health where she assisted the organization in developing the culture, leadership capability, organizational capacity, and necessary infrastructure to ensure achievement of critical results. Why you should know her: In her role as President & CEO, Proctor has focused on enacting a three-pronged agenda that promotes a patient-centric focus of care, respect for others and healthy communities. What She Does: Dr. Gaudet leads the Veterans Affairs Department’s new efforts in patient-centered care and is also the inaugural director of the VA Office of Patient Centered Care and Cultural Transformation. She is charged with testing new care models for the nation’s veterans and implementing innovations across the 1,000-plus facility system. Previously, Dr. Gaudet was the executive director of Duke Integrative Medicine, and assistant professor of obstetrics and gynecology at Duke University Medical Center in Durham, North Carolina. Under her leadership, Duke Integrative Medicine (www.dukeintegrativemedicine.org), opened a state-of-the-art healthcare facility dedicated to the transformation of medicine through the exploration of new models of whole-person health care. Why you should know her: Dr. Gaudet Named one of 11 “women who shape the world” (Shape, November, 2008), Dr. Gaudet is widely recognized as a leader in the emerging field of integrative medicine through her contributions to numerous journals, publications, and television programs. What she does: Tecco co-founded Rock Health, a seed accelerator “powering the future of the digital health ecosystem” by providing capital and mentorship to health startups. Launched just last year, Rock Health has drawn funding from Microsoft, Qualcomm, Quest Diagnostics and Genentech. Two of its first class of graduates have already drawn additional funding from investors. Why you should know about her: Tecco should be inspiration to those who might not have a strong background in health but still want to get involved in health IT. She had roles at Apple and Intel prior to attending Harvard Business School, where she met Rock Health’s co-founder, Nate Gross. Her organization, too, aims to bring in developers and programmers–who may or may not have had a background in health– to encourage new thinking about health care. Rock Health has a solid group of advisers involved, including the CEO of Sermo, and representatives from Twitter, 23andMe, HealthTap, and the Mayo Clinic, among others. What she does: Amy Sheng and Erik Douglas met in a lab working on mobile microscopy for the developing world. In 2010 they formed CellScope, Inc. to apply the technology to home use in Europe and the United States. CellScope–supported through Rock Health (see above)–uses optical attachments that turn smartphones into diagnostic-quality imaging systems, letting consumers bring “expert diagnosis and advice into low-resource settings.” Why you should know about her: CellScope is available for use in village clinics in the developing world and households in the developed world. It demonstrates the great potential for telehealth solutions to break down the barriers separating developing countries from high quality health care. What she does: Crenshaw is the President/CEO of Intellect Resources, a firm specializing in healthcare IT resources. Why you should know about her: Crenshaw is revolutionizing the healthcare IT recruiting industry with an event called Big Break. With every single hospital in the nation working towards the same meaningful use deadline, healthcare IT talent is becoming scarce and expensive. Big Break is a one day audition process that allows hospital systems to hire an entire training and go-live team (200+ people) in one day. Feel free to leave a comment if there is a prominent or up and coming woman HIT leader that I left out.